Maybe you have some unfinished quilt blocks that could easily be made into a child-sized quilt to help a little one in need? Or, maybe you are looking for an excuse to throw a sewing party – and what better way to have fun sewing with friends than inviting them over to each sew a block to add to a charity quilt for a child? 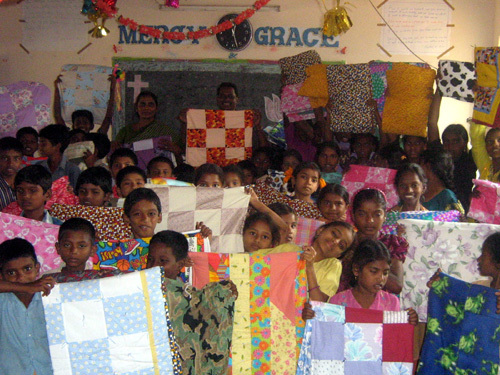 Just think of the difference it can make to a child who will receive your handmade quilt! Need some ideas for making a quick and easy baby quilt? Check out our BERNINA WeAllSew Pinterest board, Sew for Baby to find free baby quilt patterns and more!